The Veteran’s Access to Care through Choice, Accountability and Transparency Act of 2014, also called the Veterans Choice Act, is a public law that provides funding for veterans so they may seek treatment outside of the VA. The law stipulates you must live 40 miles away from the nearest VA hospital or be unable to get an appointment within 30 days. However, because there are NO acupuncturists currently working at the VA, everyone who qualifies for medical coverage through the VA automatically qualifies for 100%-covered Acupuncture treatments through the Veterans Choice Program. This is great news for U.S. veterans seeking help with pain management, drug addiction, psychological and emotional stress, trouble sleeping and more! 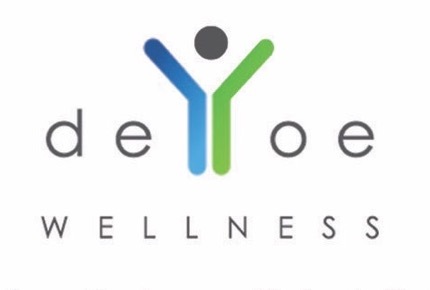 DeYoe Wellness is honored to be part of helping those who have served our country and who have fought for our freedom. We look forward to helping you begin your journey to better health and encourage you to reach out to us today. Several thousand years ago, East Asian practitioners discovered that the body forms disharmonies as a result of the various physical and mental stresses of life. The Oriental medical theory explains these disharmonies as an imbalance of opposing forces called yin and yang. This imbalance disrupts the movement of the body’s vital energy (qi) along the meridian pathways, which are channels through which the body’s energy is thought to flow. Acupuncture restores the smooth flow of qi. DeYoe Wellness offers two types of Acupuncture: Traditional and Low-Level Laser. We encourage you to learn more about the two different types below and reach out to us if you have any questions. A time-tested practice backed by more than 2,100 years, traditional acupuncture utilizes tiny needles to access distinct points on the body to restore balance, alleviate pain, reduce stress and anxiety, enhance sleep, treat disease and improve overall well-being. Traditional Acupuncture treats the whole person, no matter what ails you. YES. Traditional Acupuncture is used by millions of Americans every year. James DeYoe, as a Licensed Acupuncturist, is required to undergo extensive education, including a detailed study of human anatomy and training in Clean Needle Technique. James has passed comprehensive national board examinations administered by the National Certification Commission for Acupuncture and Oriental Medicine (NCCAOM) and is licensed by the state of Georgia. Does Traditional Acupuncture really help? YES. Several recent studies have shown that symptoms can be relieved with Acupuncture. One Scandinavian study reported that 25 percent of patients canceled their plans for knee surgery after Acupuncture. About 15 million Americans have tried Acupuncture therapy. The World Health Organization recommends it for more than 40 conditions as diverse as asthma and nausea to chemotherapy. What is Traditional Acupuncture used to treat? Traditional Acupuncture is used in many ways, including in the treatment of acute and chronic pain, sports injuries, insomnia, depression, stress and anxiety, digestive disorders, allergies, respiratory issues, migraines, headaches and to increase relaxation. Tiny needles are inserted carefully into key points on the body to trigger an increase in blood flow to areas where it is blocked or weak. When healthy blood flow is restored, the body’s natural healing abilities are activated, sending the body back into balance. Traditional Acupuncture allows us to access full-body health without the removal of any clothing. We’ll pinpoint and effectively treat your ailments via specific points on your head, face, arms, hands, lower legs and feet all while you relax and take a breather from today’s stressors. Does traditional Acupuncture using needles hurt? No, because the needles used are so fine patients typically report not feeling a thing. Side effects are minimal but may include fatigue, slight bruising, tenderness at needle site, lightheadedness, temporary worsening of symptoms, and emotional release. How do I know if I am a candidate for Traditional Acupuncture? James DeYoe, our licensed Acupuncturist will meet with you prior to your first treatment to ensure you are a suitable candidate for traditional Acupuncture, but most men and women looking for a natural approach to healing and overall wellness are candidates for traditional Acupuncture. Those who are not eligible for traditional Acupuncture include those with hemophilia or contagious skin diseases. We take special precautions when working with those on blood-thinning medication or have a tendency to bruise easily. How soon will I see results from Traditional Acupuncture? It depends on many factors. The results can vary from being completely better in one treatment, to requiring months of regular treatment. Many times changes will be slow and subtle to give your body and mind time to rebalance and recover from the condition. Factors in determining how soon you’ll see results include: How long have you had the condition? How severe is the condition? Other factors include how your family genetics affect the outcome, your willingness to change thought patterns and lifestyle and dietary habits and your exposure to stress. Because Acupuncture treats everyone as a complete individual it doesn’t generalize. Therefore the Initial Consultation takes the form of a detail history, followed by pulse taking (on both wrists) and a tongue diagnosis, to gather as much information as possible. Every patient is treated as a complete individual and treatments are tailor-made to their particular needs. Your initial consultation may take up to 1½ hours, whereas follow-up treatments generally take between ¾ – 1 hour. On your first visit, our Acupuncturist James DeYoe will suggest a course of treatment, which can be anything from “we’d like to see you once a week for six weeks” to “we’d really like to see you every day for the next four days.” This suggestion is based on our experience with treating your particular condition. If you don’t come in often enough or long enough, you may not achieve the full benefits. The purpose of our sliding scale is to help you make that commitment. If you have questions about how long it will take to see results, please ask us. We’re happy to help! A relatively new method of stimulation, Laser Acupuncture is a NON-NEEDLE treatment using low-energy laser beams — instead of traditional Acupuncture needles — to influence the flow of current at the Acupuncture points. Beyond conventional medicine, this procedure is usually the preferred procedure for effective treatment of painful conditions such as carpal tunnel syndrome, tennis elbow, arthritis of the knee and chronic headaches. YES. Laser Acupuncture is used by millions of Americans every year. James DeYoe, as a Licensed Acupuncturist, is required to undergo extensive education, including a detailed study of human anatomy and training in Clean Needle Technique. James has passed comprehensive national board examinations administered by the National Certification Commission for Acupuncture and Oriental Medicine (NCCAOM) and is licensed by the state of Georgia. Does Laser Acupuncture really help? YES. Several recent studies have shown that symptoms can be relieved with Laser Acupuncture. One Scandinavian study reported that 25 percent of patients canceled their plans for knee surgery after acupuncture. What is Laser Acupuncture used to treat? Laser Acupuncture is more preferred in the treatment of carpal tunnel syndrome, chronic headache, tennis elbow, asthma, sinusitis, pneumonia and arthritis of knees. Our Certified Laser Acupuncturist aims a beam of light from a laser tube onto an Acupuncture point, stimulating it similar to the way Acupuncture needles do. Laser Acupuncture is primarily used to serve two purposes: an anesthetic effect and the stimulation of Acupuncture points in a therapeutic program. The procedure has some distinct advantages over the traditional needle method. Many patients who are usually afraid of needles, such as children, prefer the Laser treatments. Use of a laser makes it a typically noninvasive, aseptic procedure, which significantly reduces the pain and recovery time associated with invasive treatments. Generally, this method can also treat the same range of complaints as needle Acupuncture. Most patients report feeling nothing at all during laser Acupuncture. Occasionally we hear of patients who feel something, but it isn’t something they can describe really well. We believe they are feeling an energetic shift in their body. Some even describe an energetic sensation propagating along the meridian being treated. Because the laser used is such a low-level laser beam, there are typically no side effects. How do I know if I am a candidate for Laser Acupuncture? James DeYoe, our licensed Acupuncturist will meet with you prior to your first treatment to ensure you are a suitable candidate for Laser Acupuncture, depending on what you’re looking to have treated. But our best candidates are those who hate needles. How soon will I see results from Laser Acupuncture? Like Traditional Acupuncture, Laser Acupuncture is a process. It is very rare that a problem can be resolved in one treatment. In China, a typical protocol for any chronic condition is Acupuncture every other day for three months. Most of our patients don’t need that many treatments, but virtually everyone requires a course of treatment in order to get what they want from Acupuncture. During Laser Acupuncture treatment, a low intensity laser beam is focused on the Acupuncture point for ten seconds to one minute. This process is based on the mechanism of photo-biostimulation in which biological changes are achieved through light. During Laser Acupuncture therapy, the cells of the organs undergo biochemical, structural and electrochemical changes due to which the functioning of that organ is improved and the patient gets relief from pain. There is no set number of treatments, or treatment interval — each client is assessed independently each time they attend and treatment is given according to the way in which he/she has responded. Acute problems may be treated more frequently, say once or twice weekly, while chronic problems may initially be treated weekly, with the interval time extended, after discussion with the patient, to reflect the easing of symptoms. Acupuncture works by restoring balance and triggering the body’s natural response.